Super soft brushed 100% Polyester. Full elastic and drawstring waist band. Order by your waist size; S=29-31", M=32-34", L=35-37", XL=38-41", XXL=42-45". 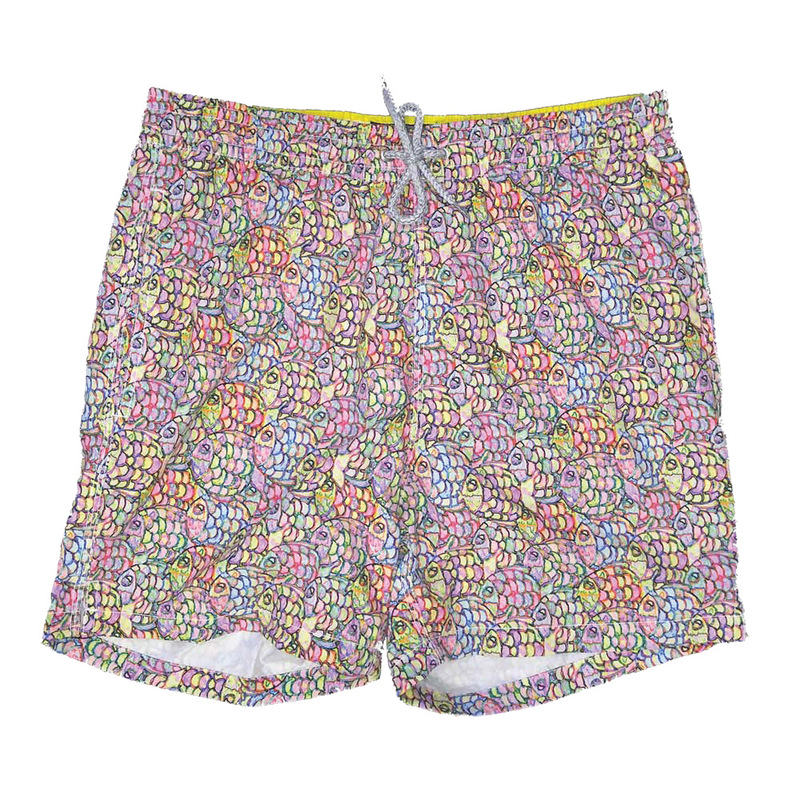 Not your typical swimwear here! 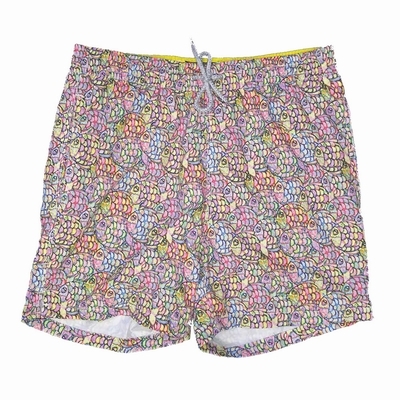 These trunks are made from a revolutionary new micropoly fabric sourced and printed in Italy, but made here in the USA!